The most frequent neurological complication during coil embolization of a ruptured cerebral aneurysm is a thromboembolic event. The association between the tortuosity of the internal carotid artery (ICA) and thromboembolic events (TEEs) during coil embolization of ruptured cerebral aneurysms remains unclear. 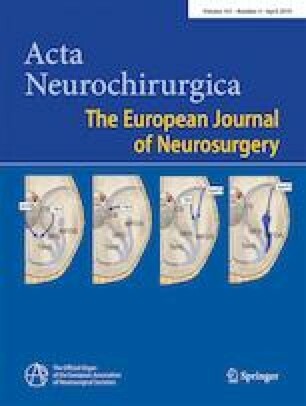 The present study aimed to investigate the association between extracranial ICA tortuosity and thromboembolic complications during coil embolization of anterior circulation ruptured aneurysms. A cohort of 57 patients with 57 anterior circulation ruptured aneurysms who underwent endovascular embolization at a single institution was retrospectively investigated. Patients were divided into two groups, those who experienced TEEs and those who did not that were compared and analyzed based on patient baseline characteristics, procedural factors, and anatomical factors including those of aneurysms and extracranial ICA tortuosity. The anatomical factors of the aneurysms included maximum dome size, neck width, dome-to-neck ratio, and dome-to-neck aspect ratio. Extracranial ICA angles in the proximal and distal curvature were evaluated as ICA tortuosity. Three of the 57 patients were excluded because of unavailability of data regarding ICA tortuosity; 54 patients were finally evaluated. TEEs occurred in six patients with five anterior cerebral and one internal carotid aneurysms. The extracranial distal ICA angle was significantly larger in patients with TEEs than in those without. Procedural factors and anatomical factors of the aneurysms were not associated with TEEs. Extracranial ICA tortuosity was significantly associated with an increased incidence of thromboembolic events during endovascular coiling of anterior circulation ruptured aneurysms.